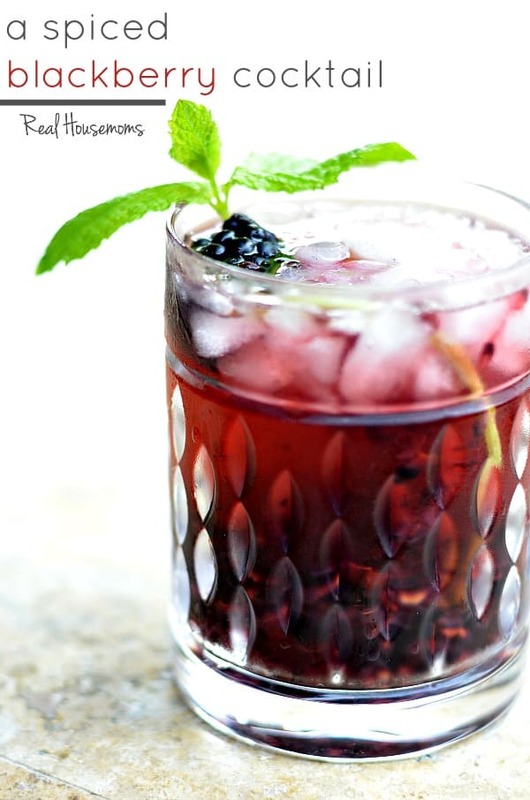 Spiced rum is mixed with fresh blackberries to create this SUPER refreshing, summer cocktail. A Spiced Blackberry Cocktail has to be on your list of poolside drinks this year. I was recently in California visiting my parents in Southern California. I’m from Southern California but not as far south as them, they moved down to Orange County after I had already moved out to Arizona. When we get into town it’s fun to try out new places and explore. I got to go to a fun rooftop lounge the other day, that I loved. It’s right up on the rooftop of a hotel in Laguna Beach so you can grab a seat, a drink and watch the sunset. They also have some pretty tasty yummies to snack on while you’re up there, too. One of the drinks I had inspired this Spiced Blackberry Cocktail. A Spiced Blackberry Cocktail is perfect for drinking by the pool! I mean rum is made to be had while doing some serious summer relaxing. The fresh blackberries get all mashed up and the juices are so sweet then you add the St. Germain and it’s a sweet drink. St. Germain is an elderflower liqueur, it’s a bit pricey for a bottle but you don’t use a whole lot in cocktails so it lasts a while and so worth the investment. I mean it’s about the same cost as gin and generally it’s used in a lot of gin cocktails. If it’s too strong for you a splash of club soda or lemon lime soda could be added but try it without first. I think you’ll absolutely love this drink! 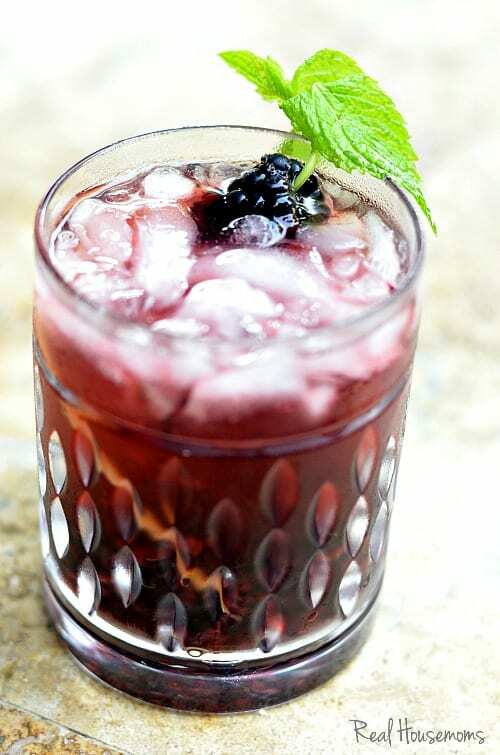 Spiced rum is mixed with fresh blackberries to create this SUPER refreshing, summer cocktail. A Spiced Blackberry Cocktail has to be on your list of poolside drinks this year!